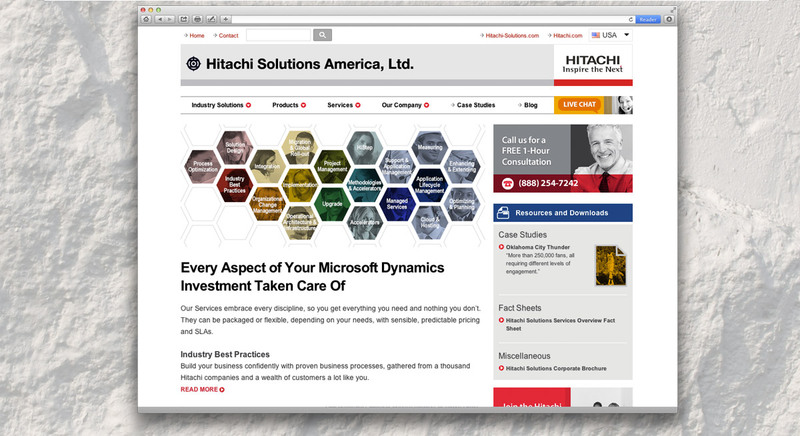 Hitachi Solutions is a global leader in business software and services based on Microsoft Dynamics, with an award-winning consulting business and a growing portfolio of industry solutions, serving clients from small and mid-size to the global enterprise. Hitachi Solutions needed to keep customers clearly informed about current products and services, while also educating them on new options and opportunities. They also needed to ensure the clearest internal communication of company direction and culture. Page Nine worked directly with Hitachi Solutions’ senior leadership, to craft a Messaging Framework that guides strategic communications internally and externally. It captures and prioritises key statements of direction, value propositions and differentiators, targeting each of their most important audiences. 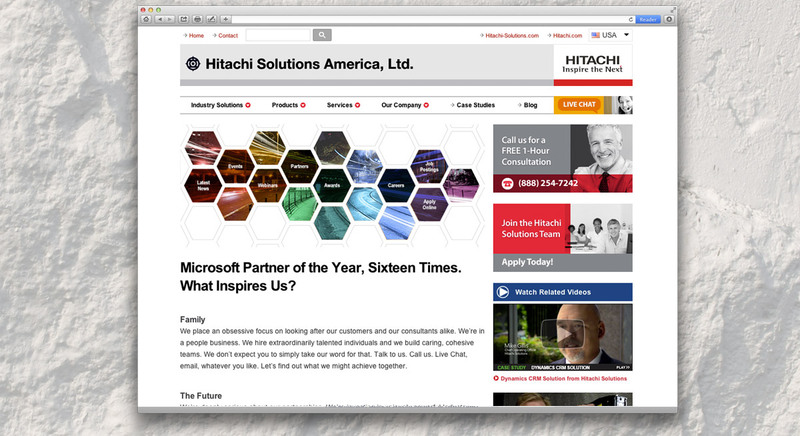 Using this framework, Page Nine restructured and completely reworded sections of the company website, to highlight the full range of Services offered by Hitachi Solutions, and to demonstrate the valuable inter-relationships between them. We built a framework of proof points, relating each Service to relevant case studies, enhancing the impact of the marketing.